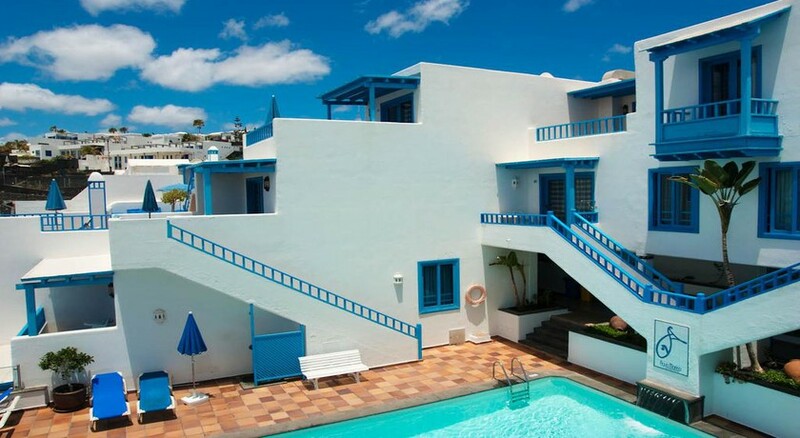 Agua Marina Apartments is a family-friendly aparthotel complex in the scenic resort of Puerto del Carmen, Lanzarote. 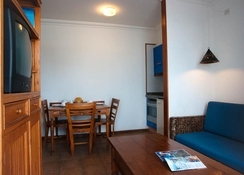 This self-catering aparthotel overlooks both the harbour in the old fisherman village and the tranquil coastline of Fuerteventura – making a serene stay for couples and families alike. Located in a quiet part of the resort, this hotel offers a swimming pool, two solariums, a sunbathing terrace, and is nearby to the resort’s sandy beach. 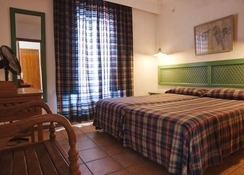 The hotel boasts 25 apartments, with each One Bedroom Apartment accommodating up to 3- 5 guests. Each room features comfortable and modern amenities including a kitchenette for guests to cook in as and when they please. There is also a poolside bar serving breakfast, lunch and snacks throughout the day, plus plenty of restaurants, cafes and bars selling local cuisine in the nearby town, too. The hotel is located in a quaint fisherman’s village 10-minutes from the popular main beach of Puerto del Carmen. Another sandy spot worth visiting is Pocillos beach, if days spent by the sea are your thing. The Old Town is 100m away from the hotel, where you’ll find a line-up of bars, restaurants, shops and more to browse if you want a day or night outside of resort. The distance from the hotel to Lanzarote Airport is 7.5km. Agua Marina Apartments has 25 apartments built across 4 different levels. It has apartments (with or without sea views) that have One or Two Bedrooms, each with two single beds, a small dining area, a living room with a settee that converts to bed and a bathroom with shower and hairdryer. All rooms have hire safe, satellite TV / TDT, telephone, fan, ironing board, a fully-equipped kitchen with oven, refrigerator, toaster, coffee maker, kettle and other utensils necessary if you want to cook. There is also a balcony or terrace with chairs and a table offering fabulous views of the surroundings. 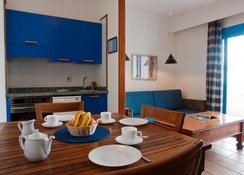 The apartments at Agua Marina are self-catering and therefore furnished with a fully-equipped kitchen with an oven, refrigerator, toaster, coffee maker, kettle and other utensils necessary for the guests who want to cook. There is also a snack bar offering light bites and several dining options and bars are nearby. The aparthotel has a swimming-pool area with a poolside bar and two terraces with sun loungers and parasols overlooking the sea and the harbour. Free WiFi is available in public areas. The property is proximate to all attractions, for guests for exploring the town or relaxing on the beach. Good bars, restaurants and a supermarket are a short walk away. We visited in August - the apartments were clean and quiet, with a great pool. Lovely location, and our apartment overlooked the sea.